Putter fitting is a no-brainer. Putting with an off-the-rack putter is like competing in the high jump from a ditch. Getting fitted for a putter allows you not to be disadvantaged by your equipment. Have a custom putter built for you. Find a putter that fits your eye and putting stroke, and then have a club fitter tweak it for you. Putter length should fit the player. A more upright stance will yield a longer shaft and a more pronounced arced putting stroke. Most putters off the rack are 34-35 inches long. SeeMore Putters offers 13 options ranging from 31-37 inches with ½-inch increments. Players with a straight-back straight-through motion will have a bent-over posture, requiring a shorter shaft. If the putter is too long, you will stand farther from the ball and your eyes will be well inside the ball at setup. The plane of your putter path will be flatter and the toe of your putter will be off the ground, pushing your aim to the left. To accommodate the extra length, you will have to cramp up your elbows too close to your body, rather than let your arms hang naturally under your shoulders. If the putter is too short, you will stand closer to the ball and your eyes will be beyond the ball. The plane of your putter path will be more upright, as your putter shaft will be more upright. The heel of your putter will tend to lift off the ground, causing it to aim to the right. A putter that is too short for you will cause you to crouch over, putting added pressure on your back. It will restrict the smoothness of your stroke. A good setup can prevent this problem. An incorrect lie angle could also cause a slightly less solid contact, and poor energy transfer will make distance control more difficult. The most important aspect of the lie angle is that it promotes good posture and eye position over the ball. The length of your putter and the corresponding lie angle are related. The longer the shaft, the flatter the lie angle should be. The shorter the shaft, the more upright the lie angle should be. Loft – Off-the-rack putters range from 2-4 degrees. The goal is to prevent skidding and bounce once the ball is struck. You must ensure that you do not press your hands forward during the stroke, which will result in de-lofting of the putter. Both issues will create loft problems, which affect distance control. The loft of a putter is the angle formed by the putter face and a level surface when the putter is held in a neutral position at address. It is measured in degrees. You need some loft to lift your ball out of the shallow depression caused by the ball’s weight and onto the top of the grass for a truer roll. Too much loft can jeopardize distance and directional control, as the ball will tend to bounce after impact. With too little loft, you will compress the ball into the turf with the same undesirable effects. You need more loft for slow greens, and for fast greens you need less loft. The way you set up and putt can alter the dynamic loft of your putter. For example, when you position your hands well forward of your ball or forward press at the start of your stroke, you effectively decrease your putter’s loft. Even a variation in ball position can change the dynamic loft at impact. My preference is not to mess with the loft during putter fitting, but concentrate more on achieving a more neutral hand position. However, if you need to use a forward press to trigger your backstroke, the club fitter may decide to adjust your putter so that the loft at impact remains within the parameters of two to four degrees. Balance (toe hang) of the putter should match the putting stroke. There are three types of putting strokes: straight-back to straight-through; arc-to-straight-through, and arc-to-arc. For example, a mallet putter is more face-balanced and matches a straight-back straight-through putting stroke. Alignment aids on the putter must send a player a calm and confident message. 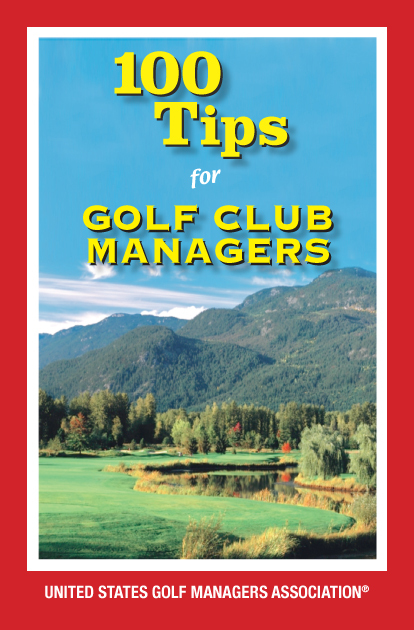 First, it helps you to square your putter face to your aim-line. Secondly, it helps you to line up the sweet spot on your putter with the center of your ball. Miss the sweet spot and your distance control can be thrown way off! Some putters are easier to line up than others. In my opinion, sight lines are better than circles, as their straight edges offer a sharper contrast. However, there is no alignment aid that will help all players. You need to experiment to see which element helps you to aim better. It is a matter of preference. Putter weight is important. A heavy putter can help quiet the hands; however, a lighter putter allows your students to have a lighter grip and remove tension in the hands and wrists. Tension reduction aids in the reduction of adrenaline into the forearms. (Tension and adrenaline are killers. They increase the yips and create problems with distance control.) Be careful. I have seen some people who add crazy fat grips that radically change the balance point on the putter. The longer the putter, the heavier the putter head will feel. Putter weight is a very personal preference. There is no standard head weight for a putter. It can be anything nowadays. The relationship between the length, the head weight, and the overall weight of the putter varies from manufacturer to manufacturer and by model. In theory, the head weight should change to keep the same relationship of head weight to grip weight when you either shorten or lengthen the putter. There is a school of thought that you should use a heavy putter to putt on slow greens and a light putter to putt on fast greens. There are some putters on the market with adjustable head weights, but to me this is just an added complication. Shortening the shaft stiffens it and changes the overall weight of the putter, but I have found that the change in feel is not that great. It is far more important that your putter has the right length and lie angle for you. Otherwise, you are never going to putt consistently. If you are not 100 percent satisfied with the balance of your altered putter, the club fitter can change the balance point to suit you by either adjusting the weight under the grip or by applying lead tape to the putter head. Custom fitting is not just for your driver, fairway woods and irons. The club you use most is your putter, and it is one of your main scoring clubs. Proper putter fitting will allow you to putt with more confidence and get better results. Feel is another preference. It breeds confidence. Milled and cast putters create different feel, and some putters provide a different sound when the ball is struck. Always practice with the same kind of golf ball. The ball construction transfers feel, which affects putting stroke rhythm. Different types of golf balls have an effect on putting feel. There’s a lot of debate among the golf community about how golf balls affect your putting, but we won’t get into the arguments/discussions that people raise about this subject. Instead, let’s look at the factors that most people pay attention to in their putting stroke. The sound of the golf ball as it comes off the clubface stands out to some golfers and causes them to find a golf ball that’s charming to their hearing. More expensive golf balls like the Titleist Pro V1 and Pro V1x have been known to produce a soft thud, whereas cheaper golf balls or even plastic-covered golf balls tend to give a high frequency “ping” sound that can become annoying or distracting. Feel is how solid the golf ball feels when the clubface hits it. To remove metal from the center of the putter head to increase perimeter weighting. To eliminate any possible waviness on a putter face that has not been milled. For golfers using a two-piece distance ball to juice up their drives, an insert can compensate for the harder cover material. I have used putters with and without inserts, and I don’t think you should factor in too much importance to an insert. There are other more important features to consider when choosing a putter. Grips are divided into two groups, pistol grip and paddle grip. There are fat grips and thin grips, firm grips and soft grips. The grip type should fit how the player holds the putter (for example, a pencil grip is what I use). A thick grip can address those with a dominant right hand, whereas a thin grip can help relieve tension in the forearms. The grip is the only connection that your hands will have with your putter. If your putter length needs to be adjusted, it is a good time to consider the type of grip you prefer, and have the club fitter fit it for you during the putter fitting session. Conventional thinking equates thin grips with a wristy stroke, with the shaft placed in your fingers. Fatter grips put the shaft more in the lifelines of your hands, giving you a steadier hold on your putter as well as promoting a shoulders-and-arms pendulum-like stroke. They help to prevent your wrists from breaking down during your stroke. Off-the-shelf putters use a standard paddle rubber grip of about 11 inches with a flat front flange so that you can place both your thumbs on top of the shaft, one under the other. If the grip has been properly fitted, the flat part should be 90 degrees to the putter face. I prefer an oversize grip as it allows me to place both thumbs on the shaft side-by-side. This balances my hands on the putter and levels my shoulders. There is one small disadvantage of an oversize grip in that your putter may not fit into putter tubes in your golf bag. Putter shapes have three basic shapes to consider: classic blade putters; heel-toe-weighted putters, and mallet putters that are usually face-balanced (that is the one I use, because I have a straight-back straight-through putting stroke). Each putter shape has a different distribution of weight. A rough-and-ready way to check this is to balance the putter on your extended finger under the shaft near the putter head. Classic blade putters – for example, a Ping Sedona – are great for an arc-to-arc putting stroke because the putter has a heavy toe hang. Heel-toe-weighted putters – for example, a Ping Anser 2 – hang at a 45-degree angle (4 o’clock) to the ground. This is a good choice for an arc to straight through putting stroke. Mallet putters – for example, the Odyssey Two Ball – are usually face-balanced, with the putter face pointing to the sky. It’s an excellent choice for the straight-back straight-through putting stroke. The choice of putter head shape and weighting is a matter of preference. In terms of playability, the classic blade putter is the least forgiving on off-center hits. Heel-toe-weighted putters still dominate the off-the-shelf market and are popular with golfers whose stroke path is inside-square-inside. The weight at the heel and the toe is greater than that at the middle of the putter head. This heel-toe weight distribution works to stabilize the putter head on contact with the ball and is more forgiving on mishits. Mallet putters, with their larger and heavier heads, favor a stroke path that is more square-to-square or inside-square-square. In a face-balanced putter (a common feature of mallet putters), the center of gravity is in the same plane as the shaft. Therefore, during the transition from backstroke to forward stroke, there are no dynamic forces to either open or close the putter face. MOI–MOI stands for “moment of inertia” and refers to how easily the putter face twists during contact if you mishit the sweet spot. As MOI increases, the importance of center contact on the putter face goes down. An amateur is likely to have more mishits towards the heel or the toe of the putter than proper contact on the sweet spot. When you hit a putt off-center, you are sacrificing a degree of distance and directional control. Increasing the putter head size is a common design feature to compensate for any mishit. There are a number of large-headed putters on the market. The putter head may often appear ugly and the look may not fit the eye of many golfers. Nevertheless, the design increases the MOI and helps you to minimize the effects of a mishit. If you prefer the more traditional look, it makes more sense for you to putt with a heel-toe-weighted putter rather than a blade putter. This is because the MOI is about three times greater, even though both head weights are the same. The playability factor is simply better. By the way, be sure to name your putter, because it is the most important club in your bag!